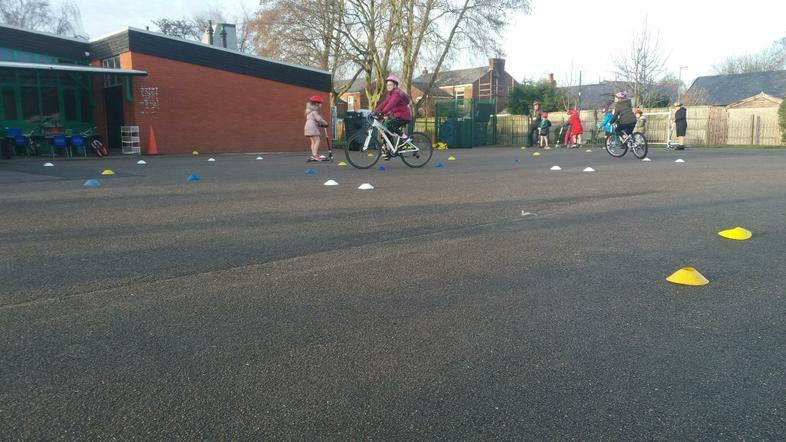 The children had fun today with the staff from the West Lancs Schools Partnership. 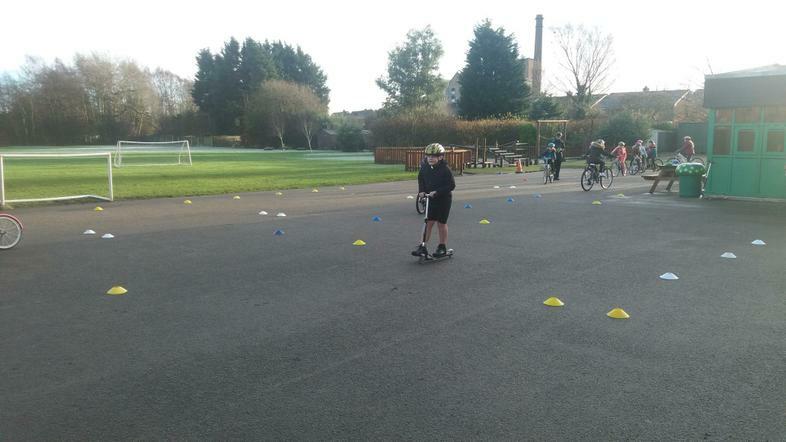 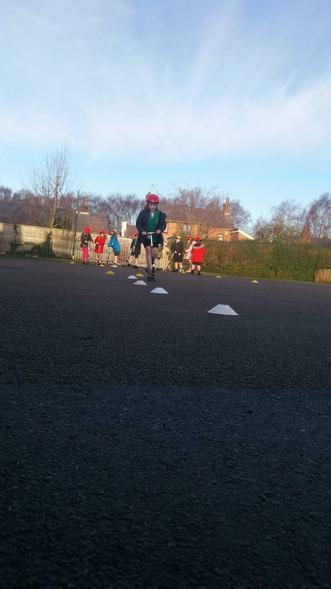 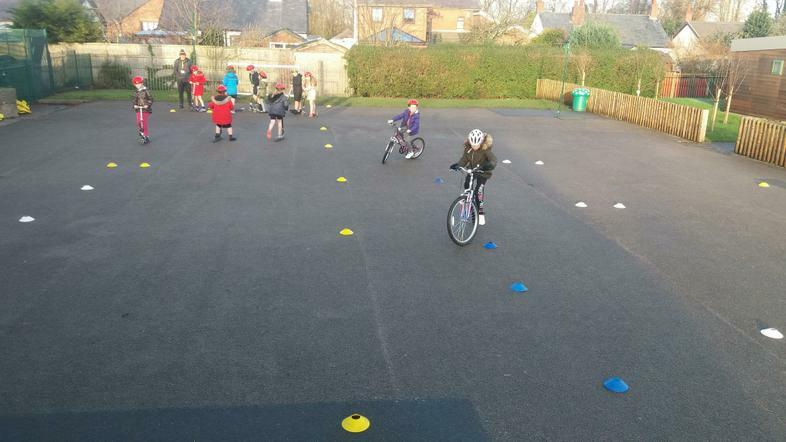 Danny, who was teaching the pupils Bikeability said they enjoyed developing skills that they would find useful when they go biking on the road. 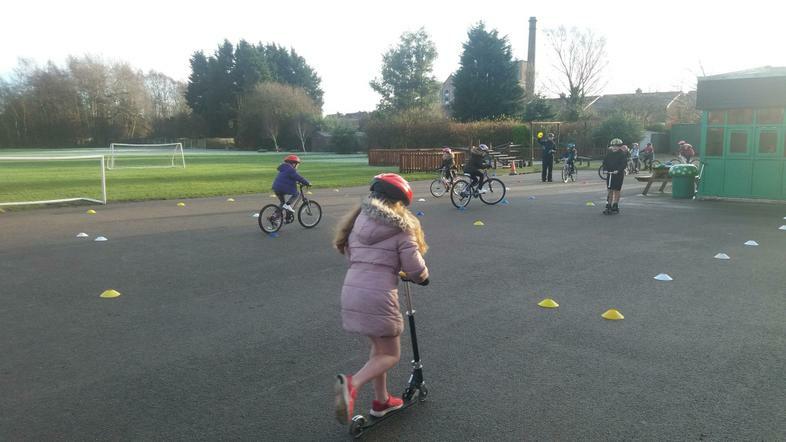 Adam & Ollie, who were teaching them scooting said despite the really cold weather, the children had fun developing their balance, coordination and learning how to use their scooters safely.